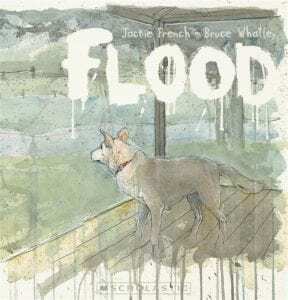 Jackie French deserves every bit of gushing I give her. She deserves bouquets of flowers (native), baskets of organic produce, buckets of compost, hi-fives from wombats, clucks from chooks and a standing ovation from parents and teachers for the gift she has given to our young people. 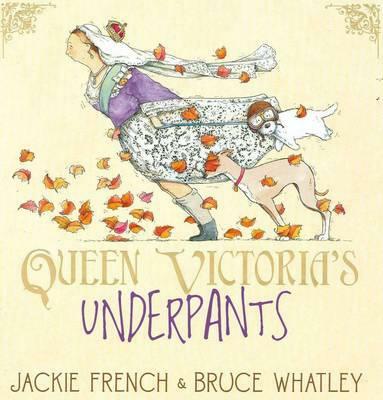 Jackie French has given our children (and many an adult!) over 140 gorgeous books. 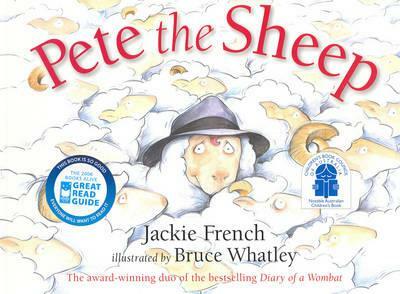 Jackie is a masterful storyteller and champion of children’s literature. 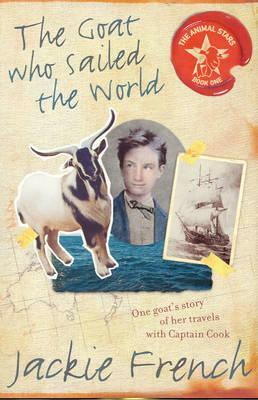 Her historical fiction is in my opinion her greatest achievement; I have never read historical fiction so powerful. 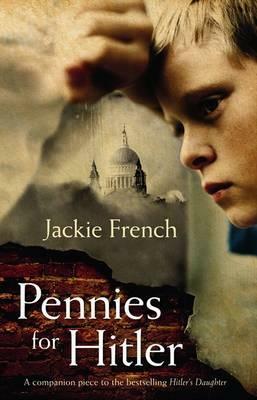 My 85 year old nan is a great reader of historical fiction and a harsh critic…and Jackie French would be one of her favourite authors (trust me, this is high praise indeed!). 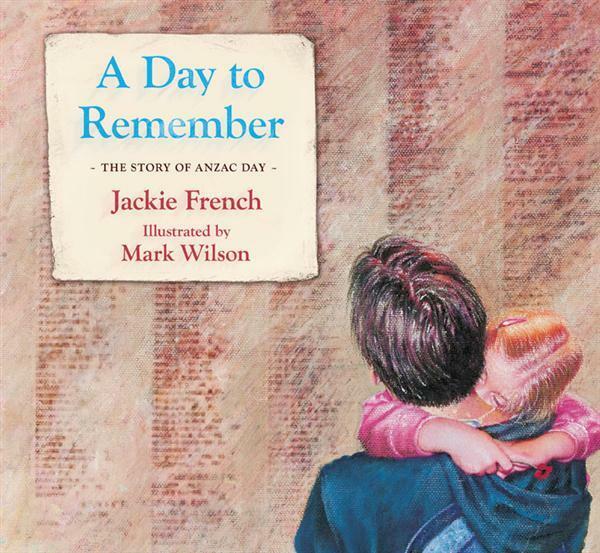 Jackie French’s writing career has so far spanned 25 years, 248 wombats, over 140 books, 36 languages and more than 60 awards in Australia and overseas. 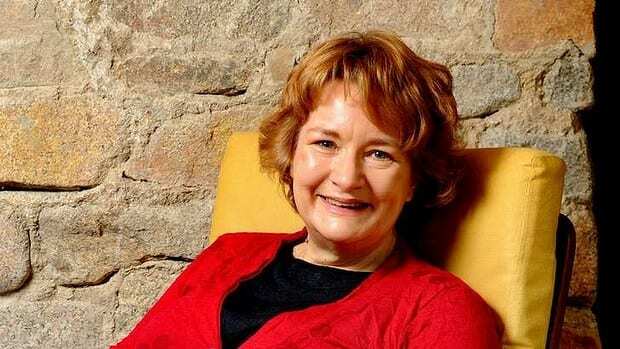 Her books have sold almost 2.5 million copies globally. 1. Jackie can’t spell. No, really, really truly, she can’t. She’s dyslexic, and can read faster than a wombat can crunch a carrot, but spelling is beyond her. (Though thanks to her spell checker she is finally learning.) Also arithmetic – the numbers go back to front. Also finding her way out of car parks, though she never gets lost in the bush. 2. Jackie loves wombats. Sorry, she LOVES wombats. 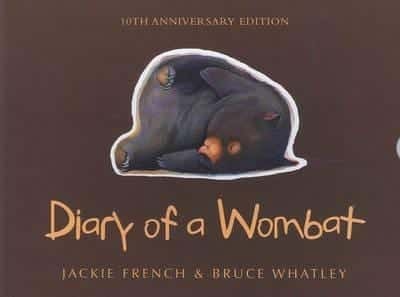 Every book has a wombat in them, even if they are described as a werewolf, a diprotodon or a stubborn human who sneaks carrots when no one is looking. 3. She thinks boredom is one of the great enemies of the world. Humans do dumb things when they are bored. But humans are also very, very good at meeting challenges. She’d like to promise you a perfect world when you grow up, but she can’t – every generation faces its own challenges, from the atomic bomb to the Black Death to global warming. But every person alive today is descended from those who met those challenges and survived. If you can meet the challenges with friends by your side, lots of laughter even when things are grim – especially when they are grim – and the world’s sum of knowledge in books or that giant paperless book, the internet, then she can assure you life will never, ever be boring. 4. Jackie writes, lots. Some books are funny. Most have funny bits in them. Some will take you to places you’ve never been or ideas you’ve never had before. Some are true; others are made of true things turned into fiction. Some have won awards and been on best-seller lists, but that doesn’t mean you’ll like them too. Books are like pizza: if you’ve got a boring one, spit it out. But give both the book and the pizza a fair chance: new ideas and new styles and new tastes seem strange at first, but if you give them a fair go you might love them. 5. 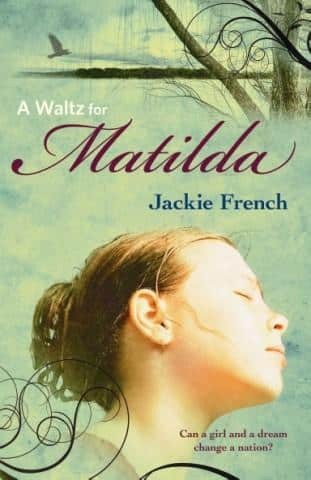 Jackie wrote her first children’s book ‘Rainstones’ in a desperate attempt to earn $106.40 to register her car, while living in a shed with a wallaby called Fred, a black snake called Gladys and a wombat called Smudge. 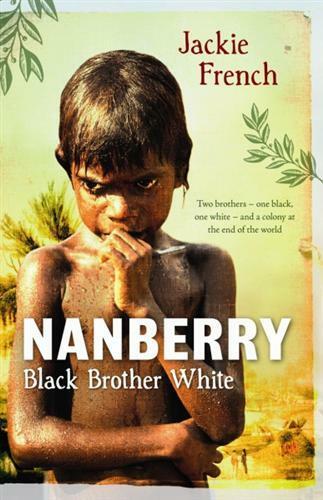 It was described by the editor at HarperCollins as the messiest, worst-spelt manuscript they’d ever received. 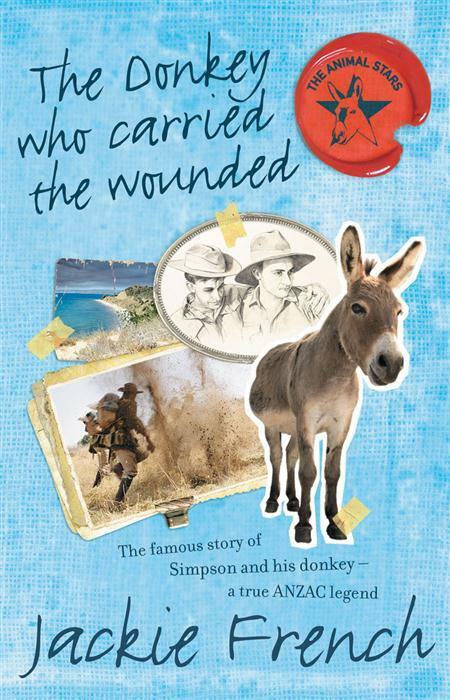 The messiest bit was due to Smudge the wombat who left his droppings on the typewriter every night; the spelling was due to the fact she is dyslexic. She recommends all beginning writers misspell their first book with a wombat-damaged typewriter – at least that way it stands out of the pile! 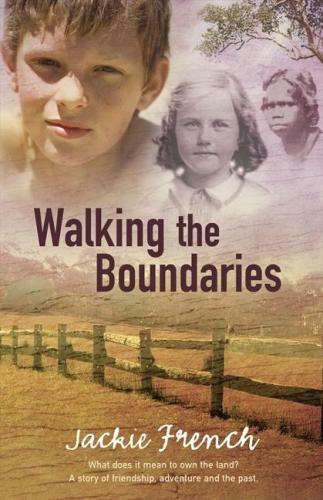 The book was accepted (also shortlisted for the NSW Premier’s Award and CBC Younger Reader’s Book of the Year). 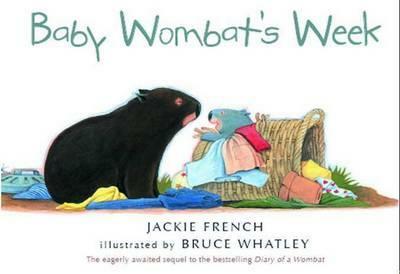 Jackie has been a full time writer and wombat negotiator ever since. 7. Her favourite book is … At least a hundred favourites – too many to write here. Sometimes you feel like watermelon, sometimes you feel like pizza. Books are the same – you need at least six unread ones around the house so you can choose what you feel like reading. 5.30 am – Woken by demented shrike thrush pecking at window. 5.32 am – Swear at demented shrike thrush. Go back to sleep. 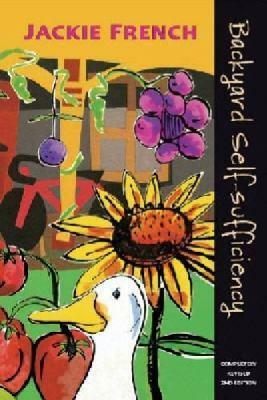 9.00-12.20 – Write, with short breaks for aphid or fruit fly counting and mooching around garden. 12.30 – Used to swim in creek if water above freezing, but these days we are afraid of pollution from the mine upstream. 12.35 – Greet chooks; lunch. 2-5.00 – Write; short breaks to pick asparagus, avocados or other stuff for dinner. 5.00 – ? – Mooch around bush or garden; say good day to wombat, cook dinner. After dinner – Answer letters; feed wombat. 10.00ish – Say goodnight to wombat; go to bed. 11.30 – Rescue chewed doormat and mangled garbage bin from wombat. Speak sternly to wombat. Go to sleep. 9. 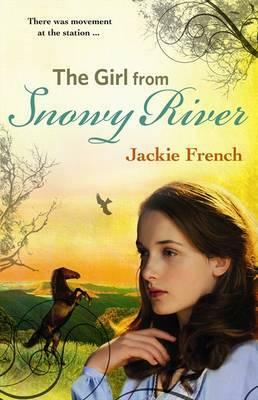 Jackie’s books often don’t easily fit into categories – many adults love Diary of a Wombat and quite a few eight-year old kids like The Girl from Snowy River, even though most of the characters are adult. Sometimes books aren’t for just one age group. 10. 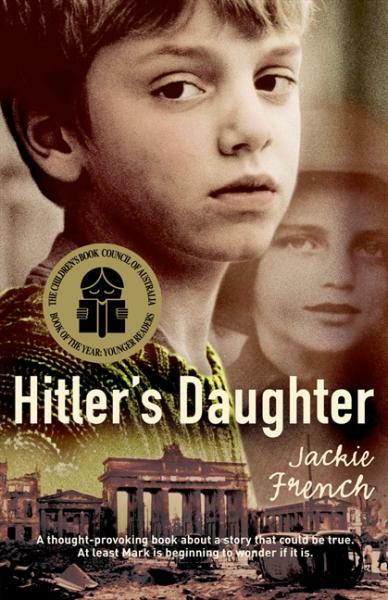 Jackie’s latest books are…again, lots. Below are some of the most recent. You can find out more about them on Jackie’s web site here, and see photos of the wombats and the garden, too. You can also sign up for Jackie’s free monthly blog, with news of wombats, book, gardens and recipes. 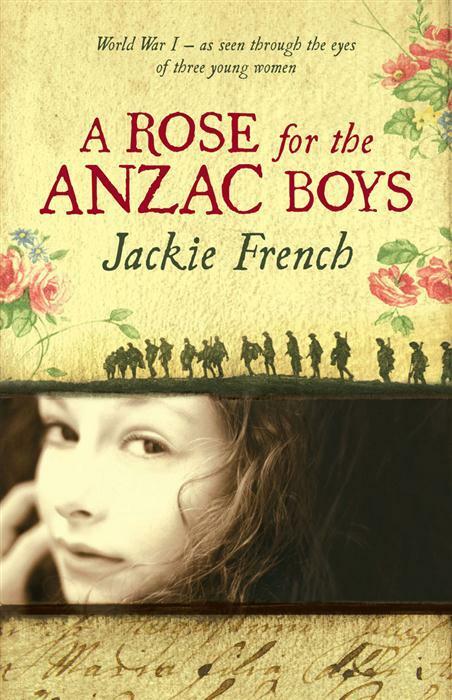 Click on book images to purchase books by Jackie French. 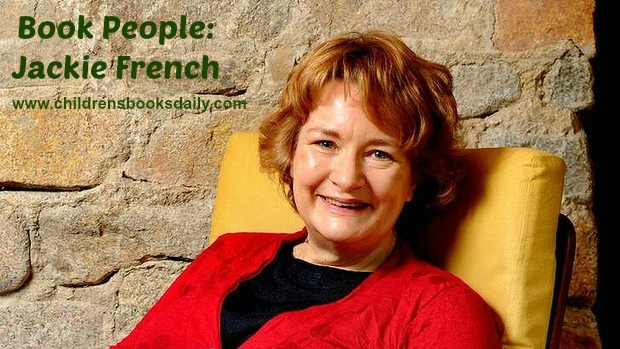 Jackie French has WAAAAAAAAAAAY more books than the average author…so I’ve chosen my favourites in a few different catergories! If you own chickens you MUST purchase this one! 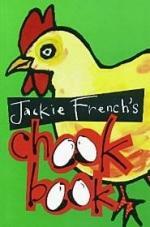 More chook books and my review of this one are here. 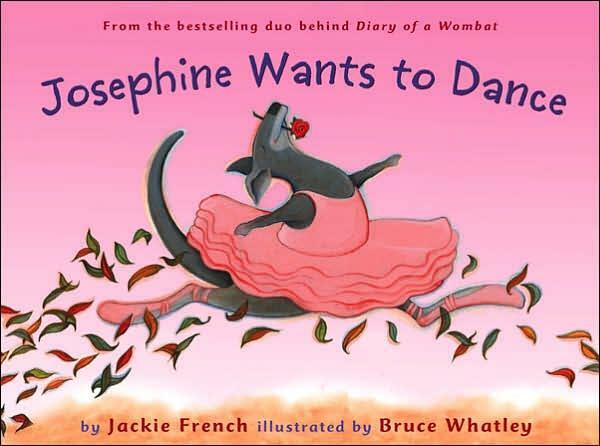 Thank you for opening my eyes wider to Jackie French… My 18month old loves pretending to be the wombat on it’s daily adventures and books like this have bonded my husband and Harriet. I am now looking forward to bringing more Jackie into our home! !